Over the last few months, many have been waiting for a smartphone running ‘Mango’, the new version of Microsoft’s Windows Phone operating system, which was allegedly finalized back in July. 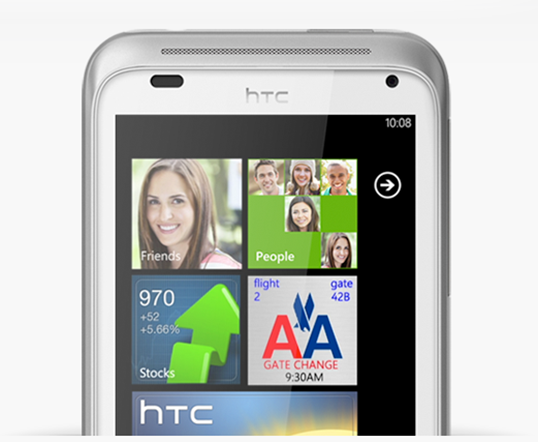 Thankfully, HTC has stepped up to the plate and introduced two Windows Phone 7.5 Mango smartphones: the HTC Radar and the HTC Titan. The Titan is targeted at high-end customers, and rightly so. 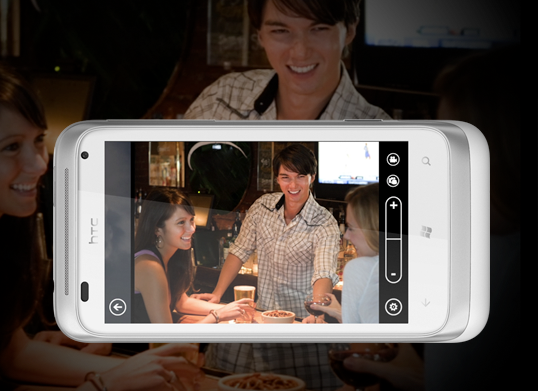 With a 1.5 GHz Qualcomm Snapdragon processor, 512 MB of RAM, 16 GB of internal memory, a 4.7” Super LCD display and an 8-megapixel rear-facing camera, the HTC Titan will provide a stellar performance, likely the best we’ve ever seen from a Windows Phone device, especially considering that it’s less than 0.5 inches thick. For less demanding customers and bargain hunters alike, HTC is offering a mid-range smartphone, assuring that all users will be able to get their hands on Windows Phone 7.5 ‘Mango’ regardless of their budget. The HTC Radar, as it’s called, just like the Titan, boasts the same 16 GB of internal storage and 512 MB of RAM, yet it compromises on the processing power as well as the camera, with a 1 GHz Qualcomm Snapdragon processor and a 5-megapixel camera, similar to the one found on the iPhone 4 but lower-resolution than the ones found on most smartphones on the market today. Unlike the Titan, the Radar also features a smaller 3.7-inch industry-standard screen. 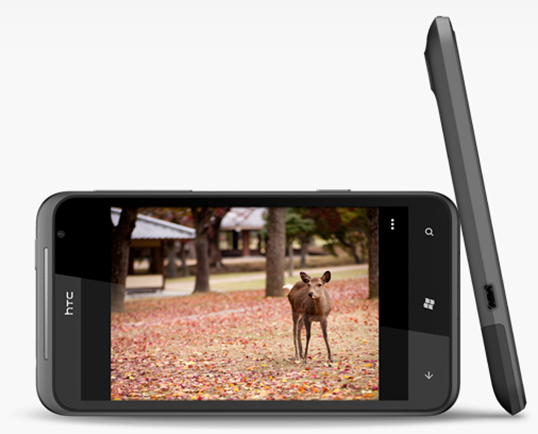 HTC is a Taiwanese smartphone maker that has developed several handsets over the years, running both Android and later Windows Phone 7. 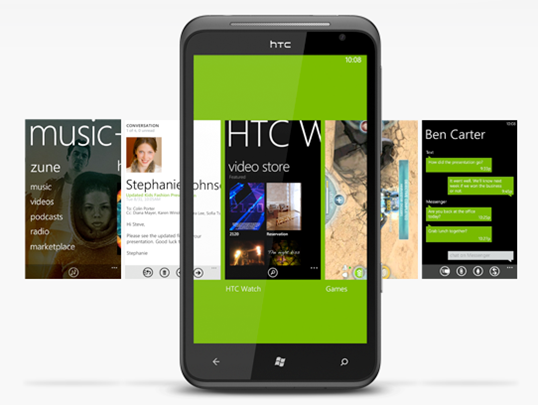 When Windows Phone was first introduced last year, HTC unveiled several devices running the system, namely the Mozart and the popular HD7. Both of these phones also include some custom HTC software built right in, such as HTC Hub which is a somewhat stripped down version of HTC Sense tailored for Windows Phone devices, but its only available as an app. Windows Phone 7.5, codenamed ‘Mango’, is the newest version of Microsoft’s smartphone operating system, building on a great effort, the company has put a lot of effort in modernizing its mobile platform with Windows Phone 7.x. ‘Mango’ includes several long-awaited features, such as a mobile version of Internet Explorer 9 capable of rendering HTML 5, integration with Windows Live SkyDrive and Office 360, as well as multi-tasking. Both the Radar and the Titan will be available in Asia on Europe starting next month, with no time frame specified for a US launch. There’s also no word on pricing as of yet. You can read more about the Radar and Titan by heading over to this link and this link respectively over at HTC’s official website.